GRC has gone global, as proven by Frances Loeb's victory in the Half Marathon in the Pacific Mini Games, an international competition in Vanuatu, where Frances is serving in the Peace Corps. Frances reports, "I had such a blast representing my island, Erromango, in the half marathon in the Pacific Mini Games. It was a close race for me with talented runners from New Zealand and Solomon Islands but all the support from my Peace Corps people, my village and my parents visiting me all the way from the US pushed me through! The best part was giving my host dad the gold medal and a victory dunk in the ocean when I got back to my village." "Before the race, I was kind of freaking out because everyone in my village kept telling me they thought I would win because they saw how much I was training. And the word got out I was running this race all over the country. Four other Peace Corps volunteers told me about how people in their community asked them about corps volunteer who was running the half marathon. I started trying to tell everyone, like my host family and the other volunteers that had flown down to the capital to watch me race that there was no way I could win and I was just shooting for second or third. And actually, I watched this woman from the Solomon Islands who was also in the half marathon win the 5k two days before the race and she was a tough runner and racer. I had no idea what kind of shape I was in and wasn't feeling very fast. So race day comes and everyone goes out pretty fast so I start off the race in last place. By the second mile I was solidly in third place and can see he Solomon island woman and my goal is just to keep her in my sights and towards the end pass her for second place. I was going out very conservatively and feeling really good. At a really long downhill around mile 5, I start to really close the gap and I wasn't planning to pass her that soon but I noticed that the New Zealand woman wasn't insanely far in front (the benefit of such a small race, I could see the next people in front and because there weren't like 50 people in between it didn't feel as daunting to close the gap) and I was feeling really good so I figured I should pass now and see if there's some chance I could close that gap by the end. I passed the New Zealand woman earlier than I would have wanted to, around mile 8, because I was scared that she would come back and get me but it was another long downhill and I just felt like I had to really pass and get some distance then. In the end I ran a 1:24:59 and she was I think 43 seconds behind me. I was feeling great until the last 2 miles that were really rough, I was so tired and dying. The last like 300 meters when I was pretty sure I had the win I just could not move but I pushed it in. I was SO surprised I won, I thought I could run only ~1:28 based on my rough tempo workouts the 3 weeks before. I had been doing the workouts later in the morning closer to 9am in the heat and humidity and then the actual race day started at 5:30 and was rainy so that helped with my time. I think I got lucky that everything came together for me and that I ended up being so mentally tough and motivated just thinking about how happy my village would be and how my parents had flown all the way across the world to be there. I also got lucky because it felt cool for me but I think the New Zealand woman was not adjusted to the intense humidity and maybe went out too fast. It was so special because no one from team Vanuatu ran for the women. While I was technically an independent since I'm not a Vanuatu citizen just a resident which allowed me to participate, I wore a uniform that had the name of my island and Vanuatu on it with a cool graphic of the island / Vanuatu flag and was kind of representing Vanuatu. A ton of people wanted to take a picture with me after. And most importantly, my village was THRILLED to hear the news. So many of them called me to congratulate me and tell me I made them proud and told me the story of where they were when they found out I won. I got a ton more of that when I made it back to the village. They all told me they had been praying for me. And when I called my host dad and told him I won, he cried. When my boat came in from the airport when I got back, they grabbed me and threw me in the ocean since I won." We had a fantastic weekend at Clubs. There were excellent performances on both the men's and women's sides, it was a great team bonding experience, and most importantly, we honored Lauren in a truly meaningful way. The men placed 8th, which is their best performance ever at Clubs. Our top 4 of Lucas, Stewart, Luke, and Ryan S were separated by only 20 seconds, our 5th and 6th men, JLP and Kyle, were close behind, and the spread from 1 to 6 was an outstanding 58 seconds. We had so much depth that by Coach Jerry's calculations if Lucas hadn't run, we still would have finished 10th. By 1 mile into the race, Lucas wished he was doing something other than running, as he did not feel like himself right from the gun, and had what he called his worst race in 2 years. To put Lucas's talent level into perspective, while he had a terrible race by his standards, his 60th place finish is the 4th best ever for a GRC man, and to his great credit Lucas fought to the tape to put the team in a position to succeed. Stewart learned his lesson from last year's irrational over-exuberance, running a patient, controlled race. Stewart's patience was rewarded with a 70th place finish, which ties him for 8th on the all-time GRC list. In his 10th Clubs, Luke ran yet another strong race, placing 76th. Luke is a highly valued team member and a truly superior athlete, as well as a wonderful role model for the younger guys. Ryan S rounded out our top 4 in an outstanding 80th place. Ryan is heading to flight school within the week, and while we'll miss him at practice, he will continue to represent GRC, and we're looking forward to more great results from him. JLP and Kyle both worked extremely hard to make the A team, and they proved they belonged by finishing in 123rd and 128th place. Developing young athletes is an important part of our mission at GRC, and it was awesome to see JLP and Kyle step up to the A level on Saturday. Graham was right with JLP and Kyle through 8k when he had the misfortune of taking a nasty fall caused by a non-competitor on the course, resulting in a partially dislocated shoulder. Graham is okay, but he was disappointed to not be able to finish in our top 5, and prove me wrong for putting him on the B team. Among other noteworthy performances for the men, Lars had a major breakthrough, crossing the line as our 7th finisher in 168th place. Lars's time was a 10k PR, which is remarkable given that the course was quite difficult, and the conditions were brutal. In the masters race, Wertz was 20th. After finishing 10th last year, Dave was disappointed to take a step backwards, but he's fully motivated to take his shot at a podium finish next year. Start of the Men's race. Photo Cred: Sean O'Leary. For the women, Maura L was an outstanding 20th place, the second best finish ever by a GRC athlete. Maura L trails only the great Frances Koons, who was 8th in 2014, and she will have a real shot at a top 10 finish next year. This caps an excellent fall for Maura L, and for someone who has had a string of bad luck in major races, this result validates her aspiration to legitimate national-caliber status. Our second finisher was Maura, in 76th place. Maura doesn't like to admit it, but she is an excellent xc runner, and she proved it yet again with another outstanding run at Clubs. Steph was 119th place, and after struggling with her health throughout the fall, and feeling terrible right from the gun on Saturday, Coach Jerry is extremely proud of Steph for taking one for the team. Julie and Emily K rounded out our top 5, finishing 134th and 143rd, and they both performed exceptionally well despite being way outside of their comfort zones. 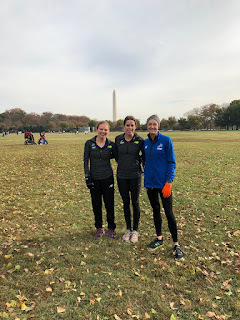 Julie is a true marathoner who had not run a xc race since college, and Emily is a mid-distance runner for whom 6k surely felt like a marathon, yet they both rose to the challenge to help the team place 14th, which was a great result under the circumstances. Chelsea was our 6th finisher in 179th, followed closely by Natalie in 186th. We greatly appreciated both of their efforts, as Chelsea's training has been limited by her busy teaching and coaching schedule, and Natalie ran the full at Richmond less than a month ago. Our mid-distance crew also ran very well, with Jackie in 193rd, Alyson in 202nd, Alexa in 208th, Angelina in 214th, and Jesse in 237th. 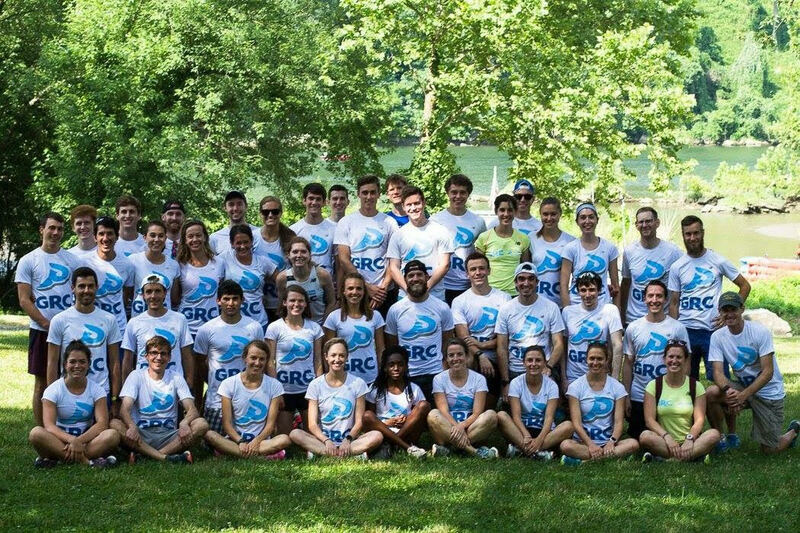 Jesse's participation was emblematic of how important Clubs is to GRC. Jesse has competed in more USATF championships on the track than she can count, and for a national caliber 800 runner to willingly endure a race where she knew she would be bringing up the rear, and her primary goal was to finish without walking, was really significant to her teammates. Very few GRC athletes consider themselves cross country specialists, and Clubs is a major commitment in terms of time and resources, yet we make it a priority because it gives us the one chance each year to compete together, as a team, in a meaningful competition. We all came away from the trip committed to doing even better next year in Spokane, and are already looking forward to everybody training together next fall to achieve a common goal. At Jingle Bell 15k, our Houston crew of Outlaw, Evan, and Dickson were 3rd, 4th, and 5th, getting in some solid marathon-pace work. Charlie was close behind in 6th. In the 5k, Mitchell ran 16:34, and then immediately volunteered handing out medals at the finish. Official team results are in: The men were 8th, the B team was 33rd, and the C team was 46th. 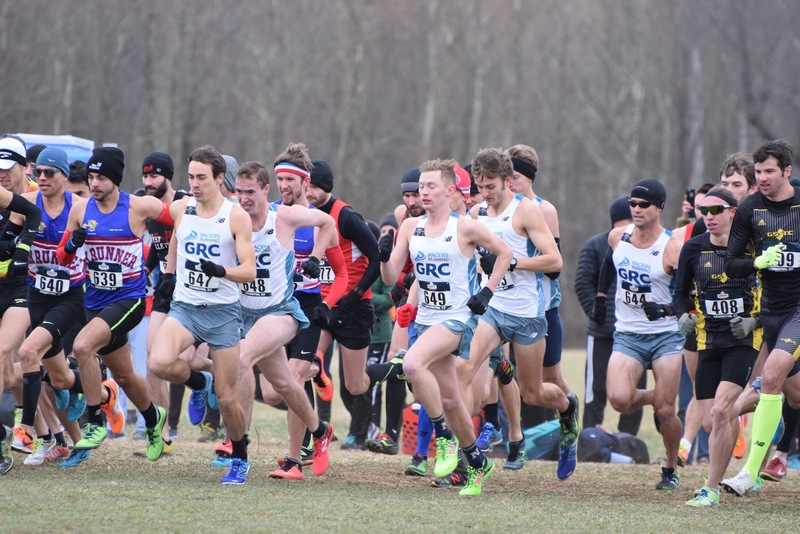 The women finished 14th.The GRC men finish return to the top 10 for the first time since 2013. It’s that time of year again. The 2017 USATF National Club Cross Country Championships, more affectionately known as “Clubs Clubs Clubs ♣️ ♣️ ♣️,” is right around the corner. Pacers Running//GRC New Balance takes Clubs very seriously. For months, the team has practiced on the rolling grass hills of the Cell Tower Field on Saturdays to prepare for this moment, which is the team’s one chance to compete against our peer teams in a national championship setting. Every January, Coach Jerry and the team reiterate the goal to have both our men’s and women’s teams finish in the top 10 in the same year. It would be a very special achievement for the entire GRC family to achieve that goal in Lexington on Saturday. The women returns to Clubs after placing 6th in Tallahassee last year. Although they will be without a few of their top runners this year, a top 10 finish is still in reach. Maura Linde will lead the way having just run 34:13 for 10k on the roads. Stephanie Reich was 26th in 2016, and Coach Jerry says she’s ready to “give it her best shot.” Maura Carroll is an “excellent XC runner” who will try to build on her 60th place finish last year. Julie Tarallo ran a major half marathon PR in November (1:20:40) and is ready to “mix it up,” especially since she hasn’t raced a spiked-up XC race since college. Emily Koehle, a mid-distance specialist in college, is relatively inexperienced in XC, but Coach Jerry affirms that she's in excellent shape and is ready to run well. Chelsea Bollerman is healthy again after sitting out in 2016. Natalie Patterson is fully recovered from the Richmond Marathon. Mid-distance specialists Jesse Carlin, Jacqueline Kasal, Alyson McGonigle, and Angelina Oputa will also line up at 11:45 AM, ready to give a go. The men look to return to the top 10 for the first time since they finished 9th in Bend, Oregon in 2013. Look for Lucas Stalnacker up with the leaders. 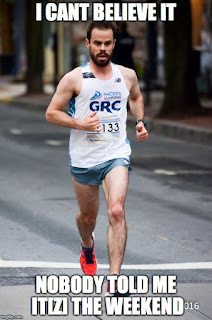 Having just run 23:46 for 8k and hanging with the leaders for significant portions of the Philly RNR Half and Army 10 miler, Lucas could close in the club record for best finish (Kieran O’Connor, 46th, 2013). Stewart Reich is in great shape (let’s be honest - when has he not been? ), and is armed with the knowledge from his experience of going out too hard last year. Luke Meyer was 7th in Lexington in 2008, and while he's not quite at that level 9 years hence, he is healthy and fit, and ready to improve on last year’s 78th place finish. Ryan Speir, fully recovered from his excellent marathon debut in Chicago, will try to stay close to his Navy teammate Stalnacker. Sean Barrett has regained his fitness after being deployed for the last couple years, and is ready to make a strong return to Clubs. Kyle Wagener is making his long-awaited A team debut after running numerous PRs in 2017. Newcomers Alex Archer and John-Louis Pane (JLP) are both fit and ready to contribute. This is the strongest B team in GRC history. 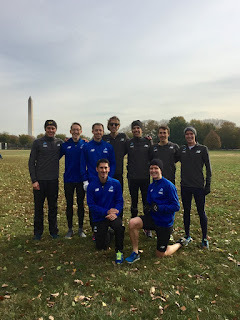 The depth of the squad is demonstrated by the fact that GRC stalwarts Graham Tribble, Cabell Willis, and Ryan Witters are included, and with Tyler Dye, coming off a huge half-marathon PR, track specialist Luk Olensinki, and newcomers Hashem Zikry and Austin Hayslett on board, the goal is to finish in the top 20. In the masters race, David Wertz will look to improve on his excellent 10th place finish in 2016, and he's fit and ready to take a shot at the podium. 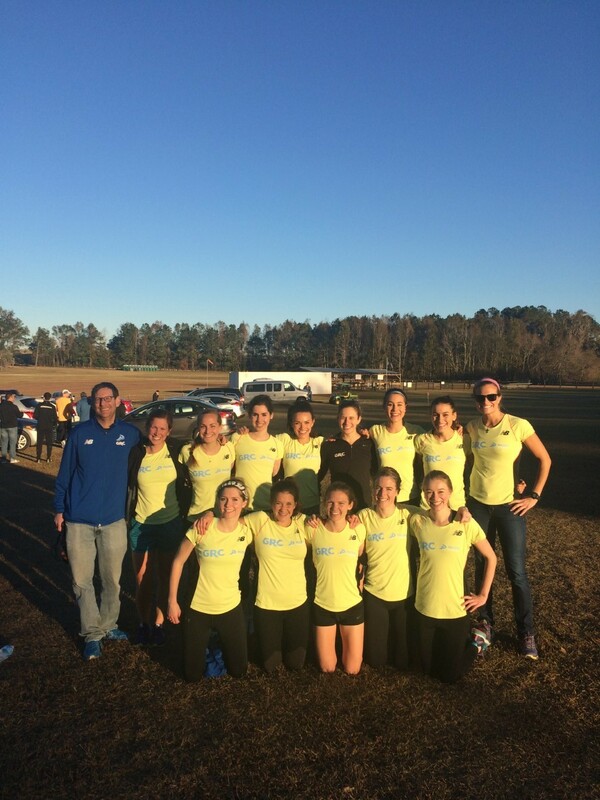 More importantly, the GRC teams return to Lexington five years after losing our teammate, Lauren Woodall Roady, at the 2012 National Club Cross Country Championships. Both teams will run will run with Lauren in their hearts on Saturday, as we do every time we race. If you haven’t already, please read Colin Raunig’s reflection on running and life here. In the sport of running, cross country is the closest construct to a team activity. This sentiment isn’t new. Every year, coaches across the country give motivational speeches to their athletes on the merits of running o’er hill and dale, jumping right into the pool of sentimentality and telling everyone to drink from it. They’re not wrong. If you’ve run a cross country race with teammates you care about, you know how right they are. Running is about the individual; cross country, their collective performance. You start the race together. You unite at the finish line. In between those two points, you run. The Georgetown Running Club has suffered the loss of two runners in the past five years: Lauren Woodall Roady and Nina Brekelmans. Lauren died in Lexington, Kentucky the night of the 2012 National Club Cross Country Championships, the same site as the upcoming 2017 meet. Nina died June 2015 in Washington DC, the home of GRC. As a team, we mourn their loss and celebrate their lives. As a team, we try to create meaning from who they were. We run and we race as a testament to life. I used to think the team was about me. GRC. I was on the road with the team from DC to Lexington for 2012 Clubs when we made a stop for lunch somewhere in West Virginia. I had been in good shape, really good shape, the best shape I had been in since the Naval Academy, from where I graduated in 2007, a place where I had little opportunity to prove my fitness, as my attempts to succeed on a Division 1 track and cross country team resulted in me trying to cash in at a level slightly above my pay-grade. With GRC, I had earned a spot on the A team. But then I pulled my hamstring a week before the race. I stutter-stepped after a deer startled me while I was doing laps on Theodore Roosevelt Island. This was two days after the last big workout before clubs, my best workout of the season, in which I closed the last repeat of a 4 x 1600-meter session in a time that closely aligned with my PR. I had been determined for Clubs to be my college redemption, but it wasn’t meant to be. I decided to go to the Lexington anyways to support my teammates. A teammate, Pete Silverman, was filming a documentary of the trip, and stationed himself outside the bus entrance at the West Virginia rest stop, gathering footage as we filed off the bus for lunch. When I exited, I put on my best face of fabricated coolness for the camera, flipping up my jacket collar like a gaunt James Dean, or at least a skinny Luke Perry. No injury would prevent me from playing the part of the stoic runner. We made it to Lexington later that day, the day before the race. If there’s better running than the south in the winter, I haven’t seen it. On race day, the sky was overcast with intermittent showers. The east coast humidity was still present, but replaced with cooler temperatures, it enveloped you with a welcome embrace that communicated one message: run. We took the bus from downtown Lexington to the course. A repurposed horse farm, with rolling hills and thick grass of a deep green, it was the kind of terrain that may not have been made for runners, but that runners worldwide and across the generations have made for them. I helped Pete film our teammates as they raced. After my duties were complete, I stationed myself about 600 meters from the finish line, yelling out my teammate’s names with unneeded instructions like run fast! By that time, I knew most of my teammate’s names, but not everyone’s. I had joined the team just three months earlier, as I was stationed in DC for one year to study Japanese for the Navy at the Defense Language Institute before continuing on to Japan. I knew Lauren Woodall Roady only in passing, sharing a conversation with her just once at a post-race team brunch after the Veterans Day 10k. As Lauren ran by, I hesitated in calling out, determining whether her name was “Lauren” or “Laura.” I decided on Lauren. I told Lauren to run fast. She did. The night after the race, the men’s and women’s teams met at a bar downtown. Lauren went out to dinner with her parents and then walked from the hotel by herself to meet the team. She didn’t make it. She was struck and killed by a fire truck that was turning left as she was walking with the signal in the crosswalk. We soon became aware of the subsequent ambulances and fire trucks that arrived, but didn’t realize why they were there until later. I was woken up by Pete at three a.m. to meet everyone downstairs in a second floor conference room. He told me why. I arrived to see people crying and consoling each other. I didn’t know what to think and found a place to sit. A week later, I drove down with team members for Lauren’s funeral in Tennessee. Lauren’s husband, Peter Roady, gave the eulogy. He was composed. He said we should honor Lauren’s memory by the way we lived. After the funeral, the men’s and women’s team returned to DC. We stopped at a restaurant halfway for dinner and shared each other’s company. Lauren’s death caused me to reevaluate my relationship to running, and my relationship to the team. In one sense, running didn’t matter in the face of such tragedy. In another sense, it mattered more. As an outlet, as a distraction, as a way of finding meaning in the sport, or assigning it one. I doubled down on my ambitions for the upcoming track season, and as soon as my injury healed, I threw down workouts on the track I hadn’t touched since college. I was determined to run the races of my life, because the time for running--the time for living--was now. And then: another injury. I was pretty much injured until I left DC for Japan the next summer. But if the team was just about running, I wouldn’t be writing about GRC five years later. Because it’s not. For example, why did I join the military? For a middle-class sense of patriotism? Perhaps. But what sustained me were the relationships, the men and women to the left and right of me. Side by side. The same is true of GRC. In the interim, and in the wake of what happened, I may have absorbed the wrong lesson, that running and racing are solitary ventures. But the long-term lesson remains: that running is more than just about running, that it’s about the people we run with, and even run against, that we get to the finish line at different times, but we all get there. That’s what binds us. Two and half years later, June 2015, I was preparing to leave Japan and return to America when I learned of Nina Brekelmans’ passing. She died in a house fire in Dupont just weeks after she earned her Master’s degree from Georgetown. At the time, I was still on the GRC email list, which helped to fuel my running for the two years I was the sole American in Eta Jima, Japan, an island near Hiroshima that is the site of the Japanese Naval Academy. To get through my time on the island--“my island”--when I wasn’t injured or working, I ran. My Japanese co-workers were nice, but despite my best efforts, and my language training, I often didn’t understand them, wakaranai, both literally and figuratively. Running was my escape. Much to the Japanese Navy’s chagrin, I ran my workouts on their 613-meter grass parade field, on which I had wheeled 400-meter increments marked with white spray paint, and relayed the results to Coach Jerry Alexander over email. I did my easy runs off-base in my GRC singlet along the road that separated the coast from the island’s mountainous terrain, black crows dive bombing me when I encroached on their christened turf during mating season, and older Japanese women yelling at me from passing cars when the DC-like weather was hot and I had slipped my singlet off. I lived in Hiroshima on the weekends, taking the ferry to get there, and did my Sunday morning long run along its southern port, weaving my way through the throngs of Japanese fishermen and feral cats who lined the water’s edge, and, upon returning, checked the GRC blog for the weekend race results—it was Sunday evening back in the states. I got through those two years through a combination of fortitude and dismay, and by leaning hard, maybe too hard, through the internet and on the relationships I had formed in America, the most adjacent being GRC. I was physically separated from my past; that plus the passage of time created a palpable detachment. When I read Jerry’s email about Nina, I didn’t know how to process the event so far removed from DC and from my teammates. In July, six weeks after Nina’s death, and back in America, I visited DC before moving to Colorado for grad school, taking the metro to Tenleytown for the summer team meeting. I mistakenly thought that the team I had left would be the one I would return to. I wanted it to be. The team had changed after Lauren’s passing, but I had been there to absorb that process. Upon returning from Japan, I quickly discovered the team I had left was not the same. It couldn’t be. Not after Nina’s passing. Not after all that time. I wasn’t the same either. As much as people change, I had changed, and my decision to leave both the Navy and Japan at the same time left me unmoored, to use Navy terminology, or rather, split in half, exposed, as I tried to stich myself together again. I thought the team would be there for me as they were before. In many ways, they were. But they were hurting, too. The meeting started as most do: late. While I waited for it to begin, I sat on the couch in the living room. I remembered that this was the same spot where I had sat during the team meeting after Lauren’s passing, held the week after her funeral. I remembered Nina had been sitting on the floor in front of me, her arms draped over her knees as she cried, surrounding team members consoling her, while others stood up to share their memories of Lauren. Nina hadn’t been able to go to either the race or the funeral and that was perhaps her first opportunity to mourn what had happened. And now Nina was gone, too. When the meeting began, Nina’s passing was spoken of by Jerry and other members of the team in a way that made me realize that the processing of her loss had began before I had arrived. I was only beginning to understand the gravity of what had occurred, and the reaching effects it would have. I stood along the perimeter of the living room, and listened, and the way I internally processed Nina’s passing was perhaps similar to how Nina had processed Lauren’s. The first time I met Nina was on the same day we both ran our first races for the Georgetown Running Club. It was the fall of 2012 and we ran a 5k cross country race in Gaithersburg, Maryland. The first time I saw her, I didn’t know she was a member of GRC. She didn’t have a uniform yet. Neither of us did. But I do remember the gaze of a determined and focused young woman as she took her place at the starting line after finishing her final pre-race strides. It was the gaze of someone who knew exactly what she wanted. She wanted to run fast. After the race, Jerry introduced Nina and I to each other, and we both shook hands. 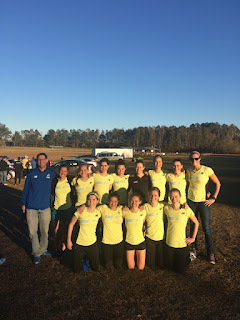 Nina and I piled into the back of Jerry’s car as he talked running and told Nina that she should consider signing up for the 2012 National Club Cross Country Championships, a 6k race for women and 10k race for men, that would be held in Lexington, Kentucky that year. She instantly agreed. Jerry then told me I should run the race. I was hesitant. The Navy had flown me out of shape at my previous duty station in Oklahoma City and I was only beginning to get back into it. And, to be honest, I was still a little gun shy from my disappointing college career. But I agreed: because Jerry insisted and because of Nina’s confidence. The military is an institution that often breeds camaraderie, but my language training was one-on-one, ichitaiichi, and I didn’t know anyone in the DC area. Quite literally, I had asked for it. I had wanted to leave my aviation job in Oklahoma City and had taken the Japanese orders after being declined for a military foreign language scholarship in which I applied to live and study at a civilian university in France or Spain. Japan wasn’t Europe, and the job I took wasn’t a civilian one, but it wasn’t in Oklahoma, so, in that sense, it was the same. I wanted to take control and get away from the track the Navy had ordered me on. Before I left for Japan, in DC, I was still happy about my chosen path despite inklings of doubt about it: the early signs of incompatibility with the Japanese language and the vestiges of loneliness. I wanted to achieve the self-satisfying notion of being an individual, but I missed the camaraderie I had come to take for granted in the Navy. And I maintained the nagging and permeating feeling that no matter where I lived or what obligations I would be required to fulfill, that I was a runner. I wanted to race again. But I was having trouble finding the motivation by myself. The purpose of my daily solo runs lay somewhere between opportunity for ethereal reflection or to fight back an encroaching tide of pudginess. I knew that such idle goals weren’t good enough. But I couldn’t do it alone. That’s when I found GRC. The team became my primary outlet while I studied Japanese full-time for the Navy. The people supplanted my military friendships and were a superior version of the team camaraderie I had lacked in military college. Within months, I was running the races of my life. I wasn’t running my best ever workouts, but my newfound enjoyment of racing made up for it. I toed the starting line to races with a true desire to succeed, instead of not wanting to fail. There is a difference. For me, it was the difference that mattered. In the moment, I may not have been able to articulate the lasting impact of this team, but I felt it. This was my last tour in the Navy, and the members of GRC were my shipmates. Earlier this fall, in October 2017, I attended my 10 year college reunion in Annapolis, Maryland. I flew in from Colorado, where I am in my third and final year of graduate school. After the summer meeting in 2015, I continued running and intermittently emailing Jerry for training advice, until I suffered torn hip cartilage and bone impingement in my left hip, and underwent corrective surgery in June of this year. By the reunion, I was walking normally, and I made my way to a memorial event on the Friday before the weekend football game. Dozens of my classmates and their families arrived to pay tribute to those who passed before us. The event was held in Memorial Hall, a room dedicated to those graduates who died in the line of duty. Retired Vice Admiral Rodney Rempt spoke. Rempt was the Superintendent of the Naval Academy from our Plebe Summer until our graduation. He told us to make the most of our lives, because we don’t know how long we have, and we don’t know why some are taken earlier than others. Later that day, when the reunion activities began in earnest, I took solace in the company of my classmates. A lot has changed for many of them: hairlines, waistlines, children. A lot hadn’t: our friendships. How do you measure loss? Or a life? You can’t. Neither can be quantified, just as Lauren and Nina’s contribution through their lives is immeasurable. What would have become of Lauren and Nina? A better of question: who will we be in their absence? We live with the cumulative knowledge of who they were. Maybe the answer is to live by the examples set by them. That doesn’t cause the hurt of the separation to go away, it just repurposes it. Time and distance aren’t just measurements of loss, but of a race to be run. Time in relation to a distance raced creates a new meaning. I think of the examples set by Lauren and Nina, of passion, ambition, and drive. They toed the starting line of the race with optimism, even in the face of an uncertain future. There is an answer in the team. The same is true for servicemembers and civilians alike. Even though I have left GRC, the team remains. Members come and go, but there is always the team, and as long as Jerry has enough stopwatches and pairs of blue jeans, he will be there to oversee them. Our time on this earth is temporary, and it’s up to us to make the most of that time, and to honor those who go before us, to harness the memory of them as examples to live by. To run by. GRC isn’t about me. It’s about all of us, those who are on the team, those who were, and those who will be. Although I work hard everyday to rehabilitate my hip, it’s possible I won’t be able to race again, and I’ve accepted that possibility. There’s more to racing than just running alone. In the third week of November, GRC//Pacers-NB athletes board all manner of planes, trains and automobiles to return home for their Thanksgiving Turkey Trots. Check out below for updates on these harriers' performances. 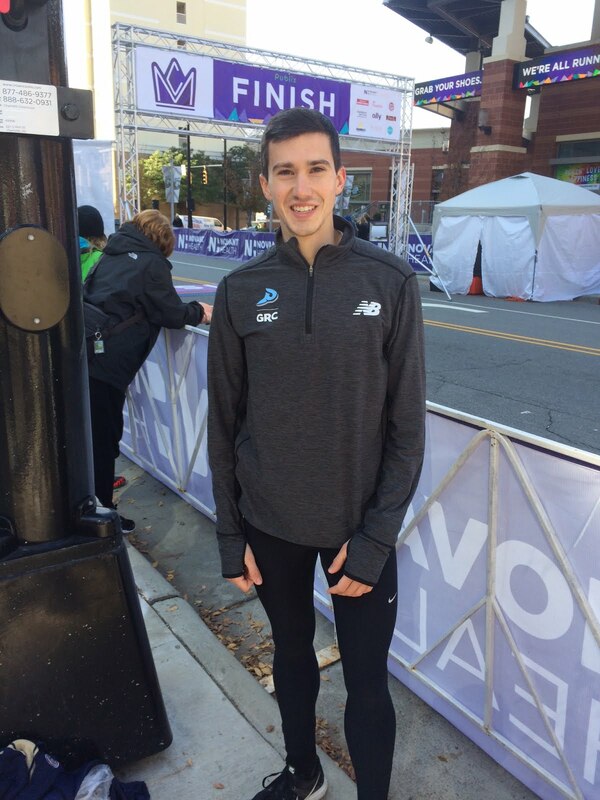 Recent Navy grad Lucas Stalnaker cruised to a 2nd place finish in the Charlotte Southpark Turkey Trot in 23:46. This extraordinary performance earned Lucas the number one spot on the GRC all-time list for the road 8k. GRC//Pacers-NB sent several of athletes up to the Alexandria Turkey Trot. On the women's side, Maura Linde made a statement by finishing 4th in 27:31. This performance will put her second on the GRC all-time list for the road 8k. Linde was followed by Kerry Allen in 29:06 (9th). 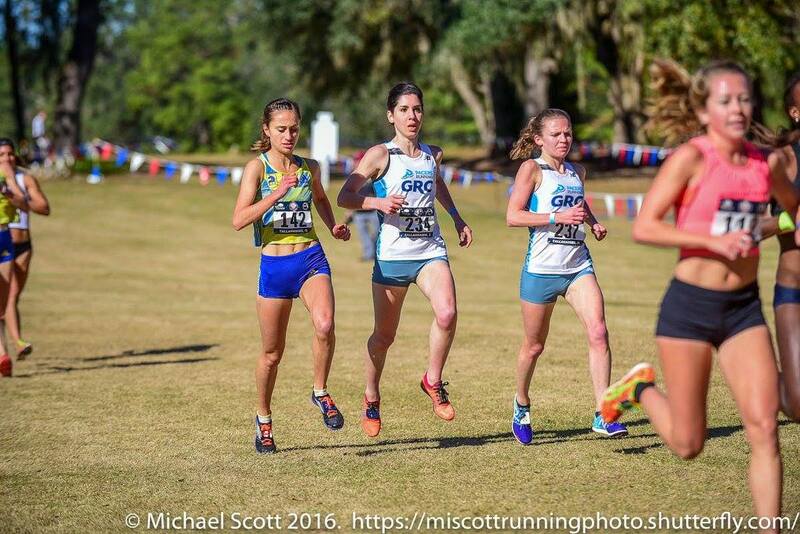 Greta Feldman and Taylor Tubbs made the most of their GRC debuts to finish 29:15 (11th) and 29:50 (12th) respectively. Look for those two to make a big impact on the track this Spring. Marianna Aguilar finished 25th in 32:57. On the men's side, David Wertz led the way with an 11th place finish in 25:54, which should set him up well for the master's race at USATF clubs where he will look to finish in the top 5. Following Wertz was Tom Kelly in 26:48 (14th), Charlie Ban in 27:23 (17th), and Paul Guevara in 27:56 (19th). Cabell Willis chased his old high school rival over hill and dale in the Richmond Road Runners Club Turkey Trot 10k. Though he did not best his rival this year, Cabell ran a solid 32:52 to finish 2nd. 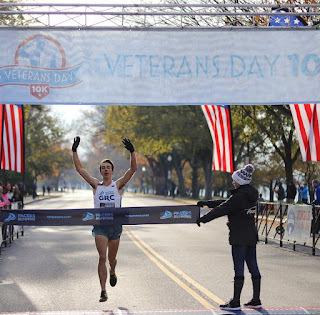 It was an all Reich show in the Frederick Turkey Trot with Stewart and Stephanie Reich winning the men's and women's races in 14:58 and 17:19 respectively. Austin Hayslett finished 4th in 16:05 and Angelina Oputa was 9th in 19:48. GRC netted a pair of top ten finishes in the Bethesda Turkey Chase 10k. Lucas Meyer completed the course in 32:19, which was good for second place and Chris Van Es finished 10th in 35:07. Kyle Wagener braved frigid conditions in the great white north of the Minnesota to finish 2nd in the Minneapolis Turkey Day 5k in 15:20. 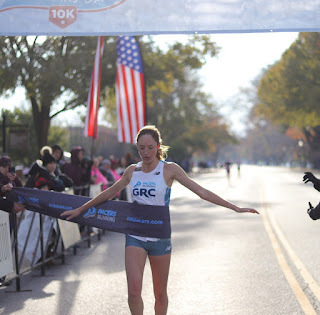 GRC harriers Craig Morgan and Natalie Patterson gave themselves something else to be thankful for on Thanksgiving after picking up a pair of wins in the Fairfax Turkey Trot in 15:47 and 18:56 respectively. Jordan Psaltakis finished 7th in 16:55 and Laura O'Hara finished 5th in 20:22. Up in Nazareth, PA, Dickson Mercer earned himself a pumpkin pie for his 3rd place finish (16:31) in the Pumpkin Pie 5k run. GRC//Pacers-NB took home victories in the men's and women's Veteran's day 10k Sunday morning. On the women's side, Maura Linde took the crown in 34:15, only 2 second shy of the GRC Club Record set by Frances Koons at the same race in 2015. As Coach Jerry put it - "Threatening a record set by Frances is a sure sign that an athlete is running great, and Maura will be ready to do something special at Clubs." Following Maura was Liz Tawa in 39:27, Marianne Aguilar in 39:42 (10k debut), Alexa Squirini in 40:08, and Laura O'Hara in 41:05. On the men's side Stewart snagged a solo victory and a PR in 30:45. Other standout performances included Hashem Zikry who ran 32:48 in his 10k debut, Ryan Speir who finished 4th in 31:54 only a month off the Chicago Marathon, and GRC superstar-to-be Alex Archer who finished 5th in 31:55. David Wertz also showed off his fitness ahead of the Masters race at Club by finishing 8th in 32:10. Rounding out the top 20 were Kyle Wagener in 6th (32:04), Craig Morgan in 7th (32:08), Lars Benner in 10th (32:42), Luk Olenginski in 14th (32:55), Dickson Mercer in 16th (33:12), Sean O'Leary in 18th (33:28), and George Galasso in 19th (33:40). 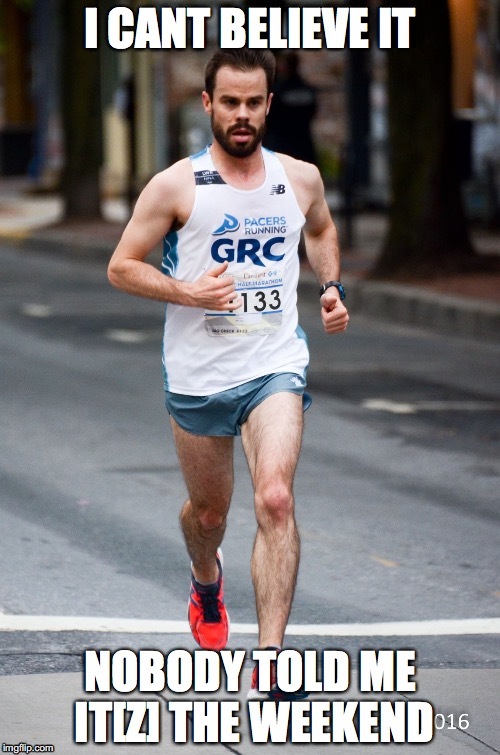 GRC//Pacers - NB took Virginia by storm on Saturday with a flurry of top 15 finishes in the Richmond Half Marathon and Marathon. In the men's half marathon, Tyler Dye, Jerry Greenlaw, and Evan Jurkovich worked together to finish 11, 12, and 13 with only 8 seconds separating the three when they crossed the line. Tyler's hard work paid off with a PR of nearly 5 minutes and Evan and Jerry showed off their early fitness as they look forward to Houston Marathon in January. In the women's half marathon, Julie Tarallo cut over 80 seconds off her PR to finish 11th in 80:38. Maura Carroll snagged a top 10 finish in 80:04, setting herself up well for the remainder of the season. 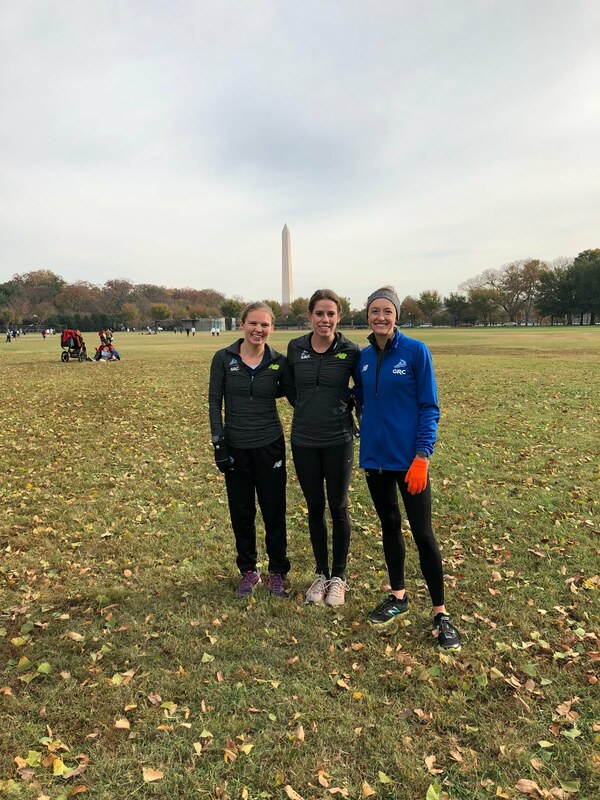 The Richmond Marathon marked Teal Burrell and Emily Potter's first serious return since each had a child and they made the most of the opportunity, finishing 5th and 6th in 2:50:19 and 2:52:19. Though they did not run qualifying times in Richmond, look for Teal and Emily to toe the line at the Olympic Trials in 2020. Natalie Patterson achieved a PR of 3:03:13 in her GRC debut. As Coach Jerry put it - "Natalie has a ton of untapped potential, and I'm looking forward to great things from her in a GRC jersey in the future." Running together = success. 11th, 12th, and 13th today at the Richmond Half. Recent George Washington University grad John-Louis Pane (JLP) impressed in his half marathon debut, finishing 3rd overall in 72:30. Given that he flew solo for most of the race, look for JLP to cut some serious time in his next attempt at this distance. GRC//Pacers - NB had a strong showing in Alexandria on Saturday morning at the St. Rita 5k. On the men's side, GRC harrier and former University of Maryland Terp Craig Morgan "used his sit and kick tactics to perfection" to grab the victory in 15:41. Ryan Speir showed little rust from his 2:29 Chicago Marathon debut less than one month ago, running 15:49 for 4th place. Tom Kelly continued to bounce back after a mid-season rough patch to throw down a quick last mile and snag 5th place in 15:51. 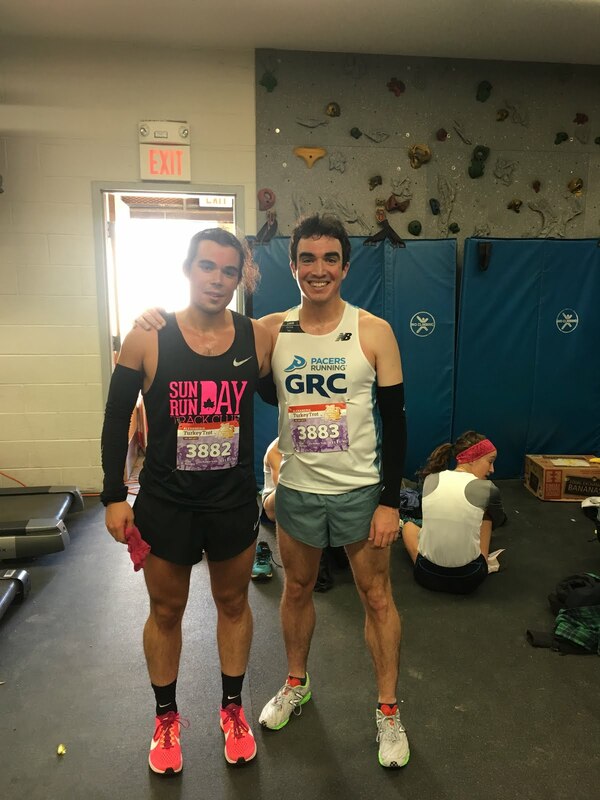 George Galasso and Jerry Greenlaw, who is building towards Houston Marathon in January, also finished in the top ten, running 16:08 and 16:18 respectively. On the women's side, Maura ran a solid tuneup for Richmond Half next weekend, finishing 2nd place in 18:00. Bucknell grad Emily Koehle ran 18:32 and earned herself a 5th place finish. Jackie Kasal and Theresa Kennedy rounded out the top 7, finishing in 19:23 and 20:40 respectively. Up in the Keystone state, Kerry Allen ran 59:47 in the Pittsburgh 10 miler, which was good for 9th place. This was a positive result and strong tuneup as she looks toward the California International Marathon in 4 weeks. Emily P did double duty this week as she sharpens up for the full at Richmond. On Thursday she was second overall, and first woman, in a Halloween 5k while pushing the triple stroller on a hilly course, which Emily described as perhaps the hardest effort of her career, and that's saying something for a 3-time Olympic Trials qualifier. On Saturday, Emily got the win in the RRCA Southeast Region 10 mile championship, running 61:01 on an out and back course. Stewart got roped into running the HCC Team Challenge, an obstacle race that was allegedly 5k, for his office team, and being a dutiful employee he brought a ringer of his own in the form of his lovely wife. Stew and Steph both got the wins, and because they both started in the third wave, their biggest obstacle was dodging the other participants who were clogging the course. Sean B placed 7th in the Cuyamaca College 6k XC in San Diego, in 19:34. While xc times are meaningless, particularly when the course is not accurate (which appears to have been the case), it's clear that Sean ran well because there were a couple of national caliber guys less than a minute ahead of him. Kieran ran a truly courageous and determined race at MCM, and his 3rd place finish, in 2:28:07, while impressive standing alone, does not even come close to doing justice to his effort. Kieran ran his own race and continued to press forward mile after solitary mile solo for majority of the time. Meanwhile, a chase pack formed behind him, and Kieran's pursuers worked together to cut into his lead. Inevitably, all of that solo running began to take its toll and as the temperature rose, Kieran felt the effects of the effort. Kieran did his best to hold on, but when he was finally caught in the 25th mile, he had nothing left in the tank. Kieran represented the team with great distinction. He'll be back, more determined than ever to improve on his 24th place finish from 2016 when he toes the line at the 2020 Trials, and we are looking forward to seeing some great marathoning from him in the years to come. In other weekend results, Julie T was second at MCM 10k in 38:01. Julie is gearing up for the full in Phoenix in January, and this was an excellent rust buster. The hardest part of the day for her was running home with her giant trophy, which is the type of workout we could all get used to. Stewart and Stephanie went 1-2 in the Spook Hill Cider and Wine 4 miler, with Stew running 20:22 and Steph his nearest pursuer in 24:00. The course was hilly and the grass was high, so those were both strong performances on a spooky hill. This weekend we had strong performances at the Gettysburg College Invitational. The Guys got the team win! Daniel led the way in 4th in 26:00, followed closely by Kyle in 7th and JLP in 8th, both in 26:07, Tyler in 17th in 26:34, Russell in 26th in 26:46, Lars in 28th in 26:50, Cabell in 36th and Wertz in 37th, both in 27:06, Greg in 39th in 27:09, Mitch in 52nd in 27:37, and Luk in 58th in 27:42. Daniel went with the leaders from the gun and while he couldn't quite hang on late in the race, he's developing a great base for track season. Kyle and JLP both stated a strong case for making the A team for Clubs. Russell bounced back quite well from his trail 50k last week, and Wertz hung tough with college kids literally half his age. Mitch made his official GRC debut, and the toughness that allowed him to progress from a non-varsity club-team runner to America East Conference scorer during his career at Binghamton will serve him well going forward. Apparently, Summer isn't over yet. Hot temps and high humidity made this weekend's races interesting, but the horrid conditions did not stop Lucas from turning in another outstanding performance, as he placed 6th behind 5 Army WCAP athletes, in 50:38. Lucas was not only with the leaders for well over half the race, he threw in some surges and tried to dictate the pace. While the pack dropped him around mile 7, Lucas came back strong in the last mile and was gaining ground on the athletes in 4th and 5th place, both of whom are Olympians. Lucas has some more big performances up his sleeve this Fall! The men won the open team title at Army, with Stewart in 13th in 52:57, Luke in 15th in 53:18, Paul T in 54:40, Graham in 55:22, Tyler in 55:57, Sean B in 56:40, Chris in 58:02, and Kyle in 59:58. Those times are reflective of the horrific conditions (did I mention it was hot out there?) and our guys are fit, and will be ready to go later this fall. The women also won the open team title, led by Kerry in 4th in 60:54, Steph in 9th in 61:43, Emily P in 61:55, Maura in 65:00, and Keely in 73:20. As with the guys, the brutal conditions caused very slow times, and when the women get a chance to show what they can do, they'll respond with some outstanding performances! We had a strong crew at Glory Days xc, with Jackie getting the win in 19:04 , followed by Emily K in 19:18, Chelsea in 19:23, Alexa in 19:37, Marianne in 20:16, and Angelina in 21:06. For the men, JLP got the win in 16:01, followed by Mitch in 16:16, Hashem in 16:17, Austin in 16:19, and Sean in 16:45. Jackie and JLP are working their way back into shape after injury and have some good momentum going into the rest of their fall season! Congratulations to Ryan S for an excellent marathon debut in Chicago, where he ran 2:29:16. The weather was not ideal in Chicago, and while Ryan was fit to run sub 2:26 in good conditions, he did extremely well to break 2:30 in the heat. Ryan ran even pace most of the race, and fought all the way to the tape, passing several guys in the last mile. Well done, Ryan! Finally, Russell got the win in the Cloudsplitter 50k trail race in Virginia, in 4:50. What possessed Russell to want to run a 50k trail race is a mystery that may never be solved, but if you're going to run, you might as well win, so congratulations are in order. Another busy weekend of racing is upon us, and one of those races is the much anticipated Army Ten-Miler on Sunday. Stewart is in great shape and looks to land in the top 5 list. Graham, Mark, and Evan are tuning up for fall marathons. For the women, Maura L is coming off an excellent race at Paul Short and is ready for a long-overdue breakthrough on the roads. 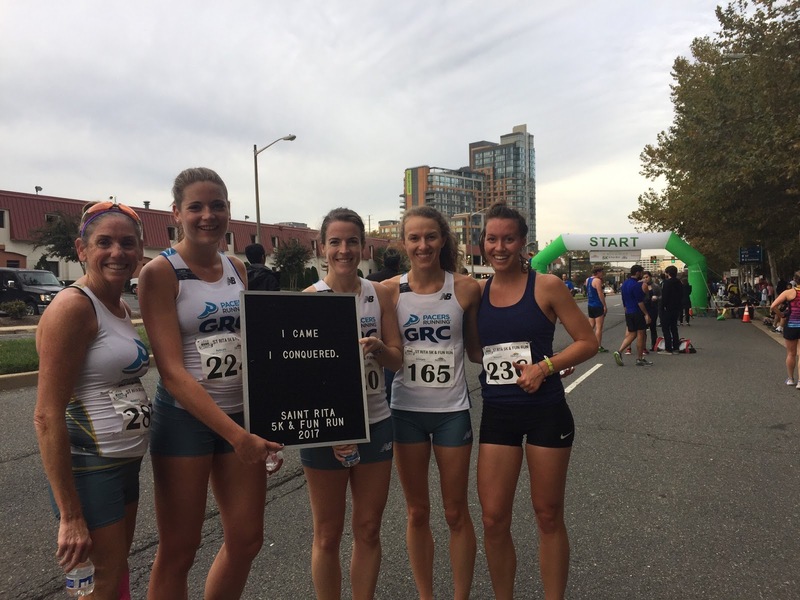 Several of our women are prepping for fall marathons, including Emily P, Kerry, Julie, and Keely. Stay tuned for results from Army Ten-Miler and our crew running some cross country at Glory Days invitation. Here are some great things that happened this weekend! Well there you have it folks, the month of September has come and gone. And just like they used to say in the good old day[z], people may die but blogs live forever. [Good luck to the October blogger that[z] following this month of pure, gasoline-fed fire blogging. You'll be as appreciated as all your snowflake take[z]]. On the docket this weekend is the Navy Mile Szn. Measured at 1 mile down and back on Penn Ave, this is a fast course with even faster asphalt. For the men, Daniel and Witty [and probably Stew] will be lacing the sneaks and putting one out there for the throng of spectators. Representing the women are Erin, Jackie, Alexa, Alyson, and Emily K. I'd be remiss to tell you that all GRC harriers are focu[z]ed with their eye on the prize. At Paul Short earlier today, Maura L. continued smashing, completing the course in a timely 20:30 good enough for 5th place and a YUUUUGE PR. 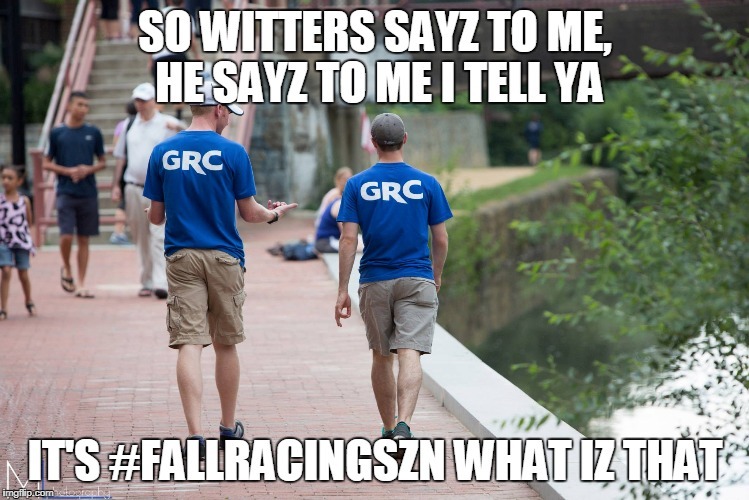 While Austin rumbled and stumbled and grumbled a xc-esque 25:33 on the gra[zz]y course. Hammer it here for update[z]. "We had a plethora of GRC debuts this weekend from members of our large and talented class of 2017. In the 5k at Clarendon, Daniel Trettel led the way among the debutantes in 14:57, followed by Craig Morgan in a big PR of 14:59, Austin Hayslett in 15:30, Lars Benner in 15:34, and John-Louis Pane in 15:56. On the women's side, Alexa Squirini ran 18:31, followed by Marianne Aguilar in 18:41. In the D-II Showcase XC meet in Nashville, Russell Chase ran 27:01 for 8k on a challenging course on a hot day. Daniel and Craig ran at the University of Maryland, and along with Lars, who comes to us from the University of Tampa, they will form the core of our new and improved men's mid-distance squad. Austin, who ran at UMBC, JLP, who ran at GW, and Russell, who ran at Harding University in Arkansas, will be strong additions to our 5k/10k group. Alexa, who also ran at Maryland, will further solidify the mighty GRC women's mid-distance juggernaut, and Marianne, who ran at Florida State, will be a nice addition to our 5k crew. Welcome aboard! Back at Clarendon, Emily d had a solid rust buster, getting the win in 17:51, followed very closely by Chelsea in a PR of 17:51, Emily K in a big PR of 17:56, Erin in a post-collegiate PR of 18:18, Jackie in 18:36, Alyson in 19:02, Angelina in 19:36, LTO in 19:41, and GRC superstar to be Theresa Kennedy in 20:13. The clear highlight was the return to form of Chelsea, who has not been fully healthy for the last 3 years. It has seemed like every time Chelsea got back in shape, yet another injury popped up, and it has been a long and difficult process for her. With her race yesterday, where she went stride for stride with Emily d all the way to the tape, Chelsea gave notice that she's back better than ever, and ready to make a splash this fall. 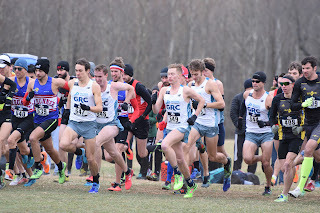 On the men's side, Kieran led the way in the 5k in 14:45, followed by soon-to-be GRC superstar Paul Thistle in 14:47, Kyle in a road PR of 15:01, Mark in a PR of 15:13, Luk in a road PR of 15:19, GRC superstar to be Mitch Abrams in 15:22, Wertz in 15:25, Cabell in 15:36, Evan in 15:38, Chris in 15:40, Zak in 15:55, Dix in 15:59, and Sean in 16:00. Kieran led the way again in the 10k in 32:45, followed by Paul in 32:51, Mark in 33:47, Evan in 35:02, Zak in 35:05, Sean in 35:12, and Dave O in 36:22. I was quite pleased with the performances from Kyle and Luk, both of whom are easing into the season, and they showed that they've got some big performances ahead. I was also happy with Wertz's performance in his first race in several months. By running the 5k hard and tempoing the 10k on short rest, Kieran, Mark, Zak, and Evan got in excellent workouts as they prep for their upcoming marathons. In non-Clarendon results, Stewart and Stephanie ran the xc invite at Goldey-Beacom, Stew's alma mater. Stew won by almost 2 minutes, going 26:05 on a very difficult course. Steph ran the men's race, and was 28th in a field of 77 finishers, in 32:00. Maura was 6th in the Pittsburgh Great Race 10k in 37:10. Emily P ran 62:38 at the Virginia 10 Miler, which is a hilly course. 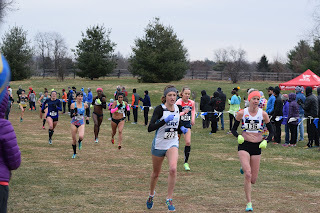 We had a routing interest at DCXC this year, as our two high school superstars were in action. Nandini got the win in the junior race in 18:59, and despite struggling mightily with the heat in the last 400 and being wrestled to the ground by an overzealous, and quite possibly deranged red-headed finish line official, she was none the worse for the wear. Ryan was 3rd in the senior race in 15:39, and he unleashed his big kick to great effect when he made the turn for home." Greta raced the Semper Five "5k" in Kabul taking the overall bron[z]e in 21:56 which is probably in metric time so really more like 14:48. According to source[z], the course was riddled with tight turns, construction and questionable accuracy [thanks obama]. Folks, today may be the first day of Fall, but you know what time of year it really is. #fallracingszn continues to crush like an absolute savage as we look to the weekend ahead of fast racing, PSLs, and listening to Earth, Wind, and Fire. Before we get to the brigade marching down Wilson blvd., we've got a few other races to discuss. Stew is making a heroic appearance [in his own mind at least] at the Goldey-Beacom Invitational to beat up on some college flusies. Steph, too is going to beat up on the same college flusies. Like seriously, she's running the men's race. I'd be scared. Emily Potter is taking her talents to Virginia for the 10 miler, while Maura is taking her lunch pail and blue collar to the capital of grit, Pittsburgh, to run the Great Race 10k. All of this is going on while GRC-debutante Russel is making his low-key racing debut in Nashville. Now to ward off any potential unwanted suitors, I have agreed to keep the name of the race anonymous until the results are posted, for young Russel's sake. Closer to home is the monster Clarendon Day 5k/10k where Kieran snaked his way to a club record* a few years back [historians note that the former 5k road record was competed on a non-net downhill, USATF certified downtown Evansville course leading the race wire to wire]. Clarendon Day 5k/10k is known for its dramatic downhill start which typically translates to 5k PRs and 10k Why did I do thats. Due to the volume of harriers and my lack of enthusiasm to create a [witty] writeup for everyone, the start lists are shown below. Men's 5k: Daniel Trettel, Ian, dix, Chris, Cabell, Luk, John-Louis Dreyfus [Pane], Dave O, Craig Morgan, Lars Benner, Kyle W, Keep Austin Hayslett, The Sage, Wertz, and Pat K.
Women's 5k: Emily D, Alexa Squirini, Jessie, EMily K, Erin, Alyson, Jackie, Marianne Aguilar, Gina, chelsea, Elyssa, and Angelina. Daniel, Craig, JLP, Austin, Lars, Alexa, and Marianne are making their debuts for the team. Let's hope they're better than mine.